To get a sense of the present, sometimes it's best to go back to the past. Flashback to 1986- when, in my 20's, I discovered a keen interest for bridal fashion and founded Impression. Recognizing an Wedding dress fashion career internships are available at Impression Bridal, the premiere choice in bridal gowns, bridesmaid gowns, and prom dresses. With many different locations, Impression Bridal offers many opportunities within our retail stores to develop your fashion industry skills. As a bridal fashion industry leader, we are always interested in new talent. Please click on a job title below to view the detailed description. We are seeking a fashion-forward and highly motivated Bridal Sales Consultant to work hand in hand with brides-to-be and their entourage to ensure that their wedding day is everything they dreamed it would be. As a Bridal Sales Consultant with Impression Bridal, you will bond with brides and guide them in their style selections while keeping a focus on personal and company-wide sales goals. As a Bridal Sales Consultant with Impression Bridal, you must possess excellent interpersonal communication skills, a consultative sales style and a strong sense of bridal fashion and fashion in general. Our ideal Bridal Sales Consultant is detail-oriented, courteous to fellow employees, and very outgoing. As a Bridal Sales Consultant with Impression Bridal, you will meet and exceed sales goals set by the Store Manager. You will also maintain the overall appearance of the sales floor, dressing rooms, and other areas that customers can see. At Impression Bridal, we value and respect our employees by providing a highly rewarding and team-oriented work environment. We also offer a commission-based pay scale and a generous employee discount. We are seeking a fashion-forward and highly motivated Prom Sales Consultant to work hand in hand with Prom Girls and their entourage to ensure that their prom day is everything they dreamed it would be. As a Prom Sales Consultant with Impression Bridal, you will bond with prom girls and guide them in their style selections while keeping a focus on personal and company-wide sales goals. As a Prom Sales Consultant with Impression Bridal, you must possess excellent interpersonal communication skills, a consultative sales style and a strong sense of prom fashion and fashion in general. Our ideal Prom Sales Consultant is detail-oriented, courteous to fellow employees, and very outgoing. 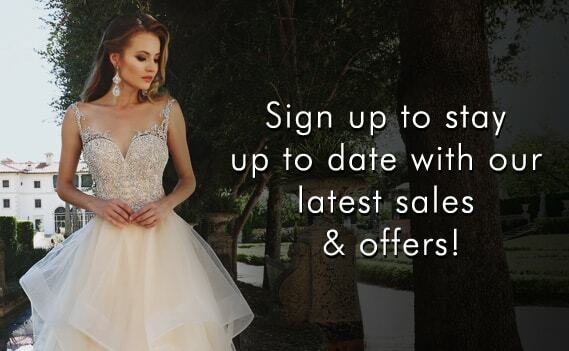 As a Prom Sales Consultant with Impression Bridal, you will meet and exceed sales goals set by the Store Manager. You will also maintain the overall appearance of the sales floor, dressing rooms, and other areas that customers can see.